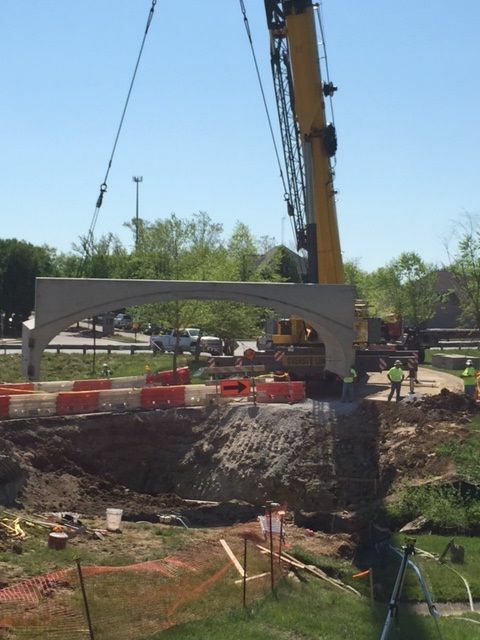 Working with MSD in the City of Jeffersontown, E-Z Construction was contracted to orchestrate a removal and replacement of a flood prone undersized box culvert. 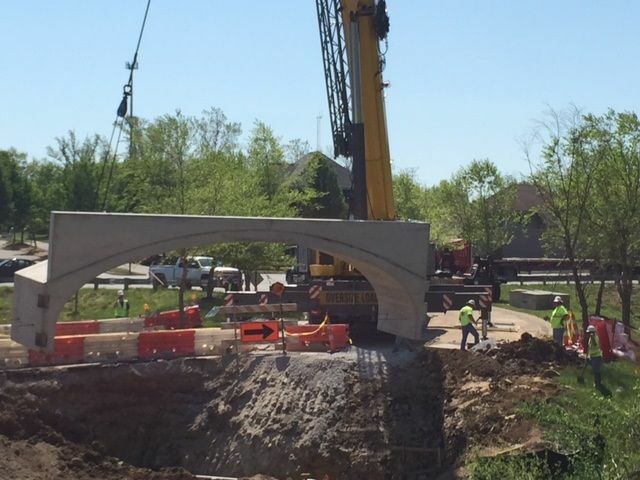 E-Z utilized an innovative approach to construct precast box culvert sections over precast foundations. This approach potentially saved several weeks to the projects schedule. The residents realized immediate functionality and accessibility to the isolated condominium development because of these time saving elements, and the flood issue was mitigated.